Update: 10/21/12: I found this article about Medicare Advantage plans and how they are ripping off the system. Interesting read. Update 10/16/12: Shortly after I published this, I came across this posting about a speech by Barry Straube, MD, at the National Renal Administrators Association’s annual conference on “What is the future of the ESRD Program?”. He offers some facts about dialysis in the context of Medicare spending that are pretty startling. For example, “$37 billion spent on the near 430,000 (estimated for 2012) individuals with kidney disease each year,” That’s about $86,000 per year per patient! As a dialysis patient, you need to understand some economics about how things work with insurance both Private Pay and Medicare. If you’re working and you are under the medical insurance of your employer that only applies for 30 months after you begin dialysis. After 30 months, you come under Medicare as the primary insurance and your private insurance becomes the secondary. In that situation, the private insurance should pay for most charges not paid by Medicare. Medicare only pays the first 80% of the Part B services like dialysis and you are responsible for the 20%. But there will be times when you are stuck with the whole bill or a large portion of it such as at the beginning of the plan year when the deductibles come into play. But you have to be signed up for Medicare Part B. You already have Part A if you paid into Medicare while you were working. Part B is paid with a monthly charge of $99.90 for 2012. 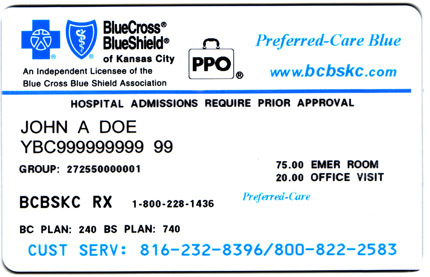 You may purchase Medicare Part B to pay the percentage that private pay doesn’t cover. To do that, you need to sign up for Medicare and pay the monthly premium of $99.90 (if your income is $85,000 or less. You pay more if your income is above that.) For specifics, see the Medicare website. Medicare will bill you every three months for your premium or it’s taken out of your Social Security disbursement. This means, if you get Social Security Disability, for example, you’ll get $99.90 less. After 30 months, your private pay insurance (if you have it) becomes secondary and Medicare is primary. This means the private insurance will pay the amounts not paid by Medicare (excluding deductibles and co-pays.) Even with both plans in effect, you have some bills to pay at the beginning of the plan years or on an on-going basis with co-pays. Trust me, you’re never off the hook! There’s always a bill to be paid somewhere in the system. Even under Part A (Hospitalization), you have to pay the first $1156 of an in-patient hospital stay and there are other charges for which you may be responsible. See the chart at the Medicare website. Part B Medicare has a $140 deductible for 2012. This means you paid the first $140 dollars of any doctor visits or dialysis PLUS you are responsible for 20% of the Part B services after the deductible is used up. If you continue to be covered by private pay, the private insurance should cover most, if not all the 20% not paid by Medicare (after deductibles and co-pays required under that plan.) In 2013, there may be some changes to deductible and premium amounts. but as of this moment, there are no announcements. See the Medicare What’s New website for any news about changes and I will post them when they are announced. This entry was posted in dialysis, disability, Medicare, New Patient and tagged dialysis, disability, employment, ESRD, Medicare. Bookmark the permalink.